DAV Public School, Chandrasekharpur quiz team once again proved its mettle by winning the National Quiz on Gandhiji--life and works organised by National Council of Science Museums,Ministry of Culture, Govt of India today at Science City ,Kolkata. Total 22 best teams of the country participated in the prestigious event out of which 5 teams entered to the mega final. The winners were honoured with a trophy, citation and cheque for Rs 50 thousand after defeating Holy Family School, Goa. Amritanshu Rath of Class 8 and Sovan Sourav Mohanty of Class 10 of DAV Cspur participated in the Quiz with the guidance of Quiz Club I/C teacher Dr Sarbadaman Singh. The School authorities congratulated the team for the splendid performance. 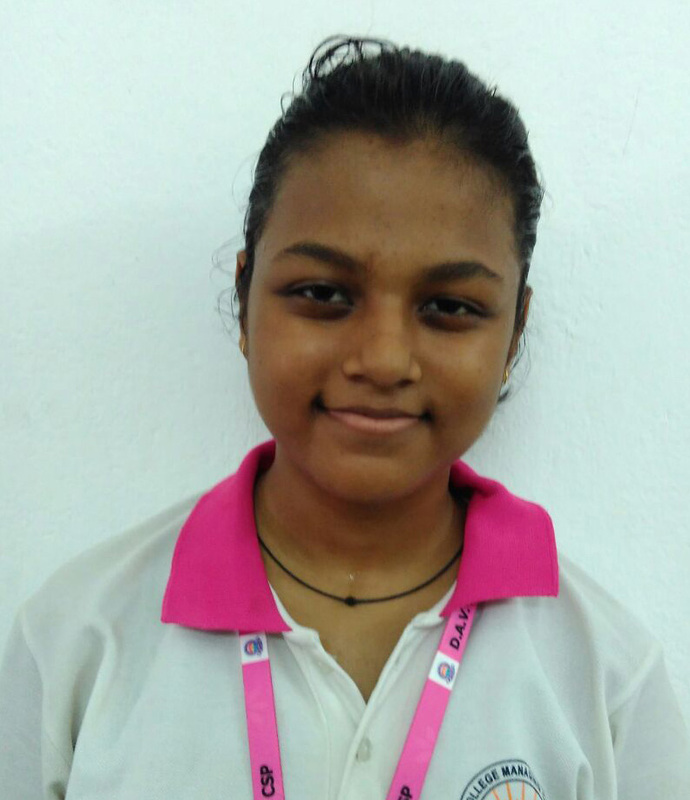 Bandana Mishra, a class IX student of DAV Public School, Chandrasekharpur has qualified as the lone candidate in the state in her class category in the recently published National Astronomy Challenge - 2018 conducted by STEM & Space, New Delhi. The said challenge was conducted among students from Std. V to IX nation wide in Astronomy & Astrophysics. Bandana along with other meritorious students of the nation would be taken into a study trip by the organisers and felicitated in Dubai in the month of March 2019. 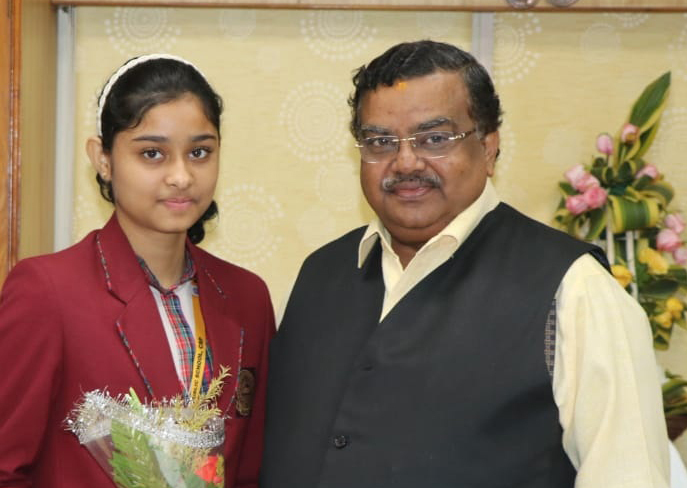 The school authorities congratulated Bandana for the unique feat and wished her good luck. Sai Krrish Sahu a Std. VI student of DAV Public School, Chandrasekharpur being honoured as the National Painting Champion in Junior Category for further course of action at your end. BBSR- In the recently published results of the third and final round of International Mathematics and Science Olympiad, Yash Mishra of class-7 & Swetasnigdha of Class-8 of DAV Public School, Chandrasekharpur emerged as the 1st & 2nd position holders respectively. Both Yash and Swetasnigdha will get gold medal, citation, tablet and 10 days guided visit to NASA, USA each. Yash would visit NASA for 2nd time within a year as he had earned the similar success last year. More than 25 lakh students from the nation appeared in the first round of the Olympiads and only 28 students selected for the final round. Total 8 students from the nation & 3 students from the state including Yash & Swetasnigdha would visit NASA for their phenomenal success. The Chairman, Principal, Staff & students congratulated both the genius for bringing laurels to the institution as well as the state with their unique achievements. Sai Krrish Sahu, a class VII student of DAV Public School, Chandrasekharpur bagged the 1st prize in Painting Competition organised by Ministry of Power, Govt. of India in collaboration with NTPC recently. 50 nos. of best participants all over the state took part in the said competition. Remarkably, Sai Krrish being a student of Class VII won the 1st prize in Senior Category. 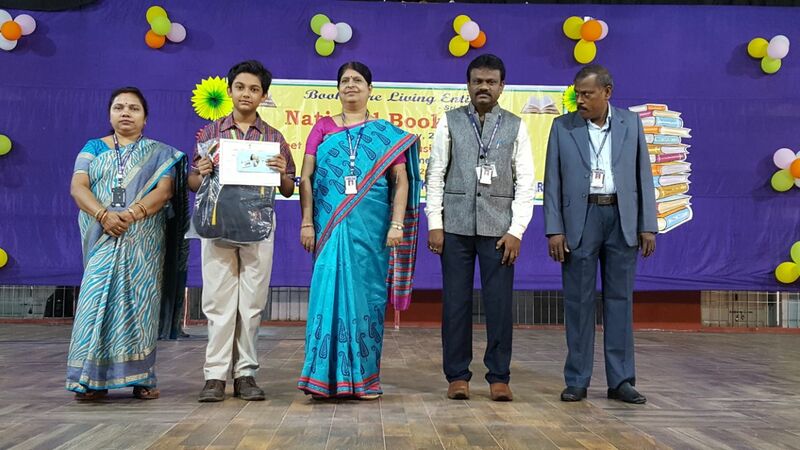 He has been awarded with Rs.20,000 cash prize, Certificate and a study bag. His painting has been selected to compete with the best creations of the Nation. He was also the winner of the National Painting Competition conducted by PCRA in junior category last year. The school authorities congratulated Sai Krrish along with his guide teacher Mr. Nilamani Muduli for this unique & phenomenal achievement. 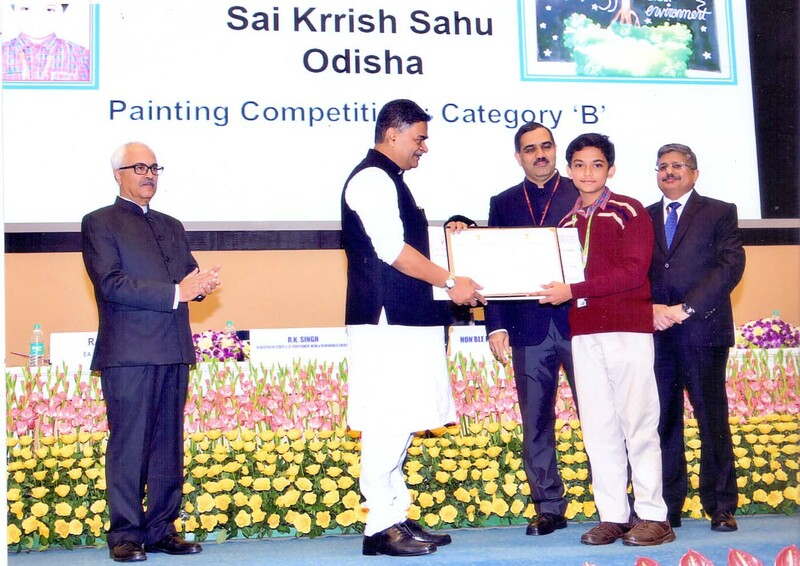 Bhubaneswar : Sai Krrish Sahu, a class VII student of DAV Public School, Chandrasekharpur once again made the state proud by securing the 2nd position in National Level Painting Competition organised by Ministry of Power, Govt. of India in association with NTPC. On the occasion of National Energy Day Sai Krrish was honoured with a cash prize of Rs.50,000 and a citation by R. K. Singh, Minister for Power in presence of A. K. Bhalla, Secretary, Power at Vigyan Bhawan, New Delhi in a special function on Thursday. Sai Krrish stood 1st in state level competition where around 1.5 crore students participated in the primary level nation wide. Last year also, Sai Krrish bagged the 1st position in National Level Painting Competition organised by Ministry of Petroleum, Govt. of India. 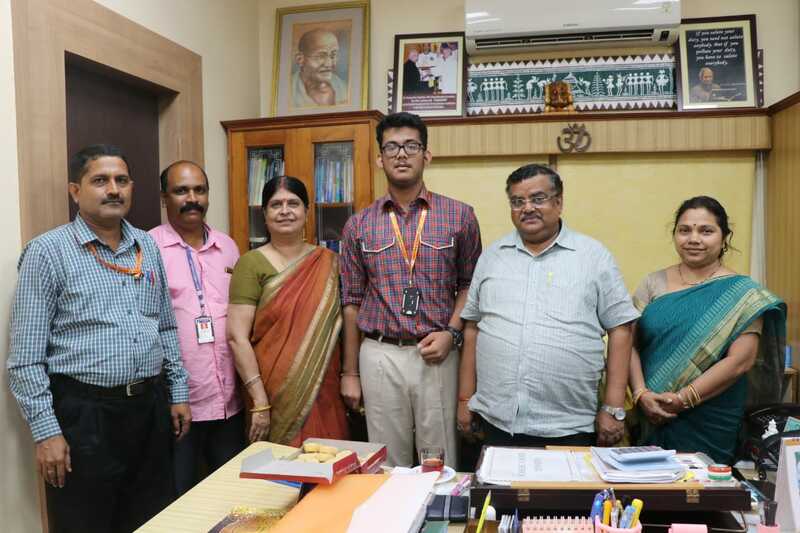 After returning from New Delhi with his father, Sai Krrish was offered a warm welcome by the Principal Dr. K. C. Satapathy, Coordinator Indira Bhattacharya, Supervisor Pramod Kumar Patra and Art Teacher Nilamani Muduli both at the Airport & the school. 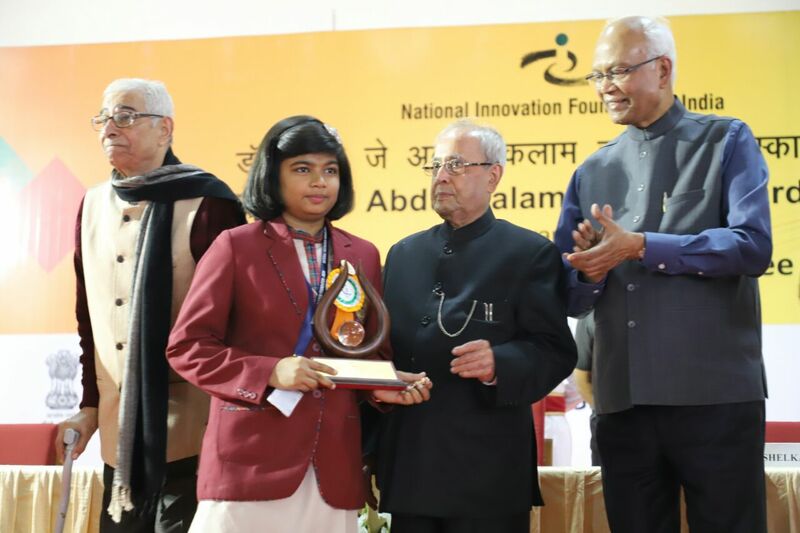 Shruti Parna Rath of IX A receiving prestigious A.P.J.ABDUL KALAM IGNITE award for her innovative science project . 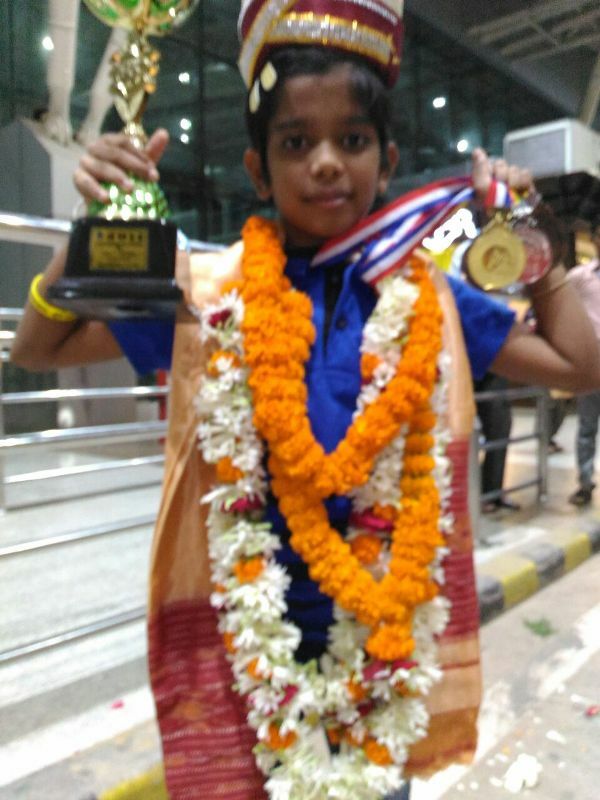 Arushi Srichandan, a student of std IV has bagged two gold medals, one silver medal and two bronze medals in 14th Asian Schools Chess Championships 2018 organised by the Chess Federation of Sri Lanka on behalf of the Asian Chess Federation and the World Chess Federation in the under 9 years girls category held from 9th-14th July 2018 in Sri Lanka. The National Talent Search Examination (NTSE) conducted by NCERT under the aegis of Ministry of HRD, Govt. of India results have been published today. 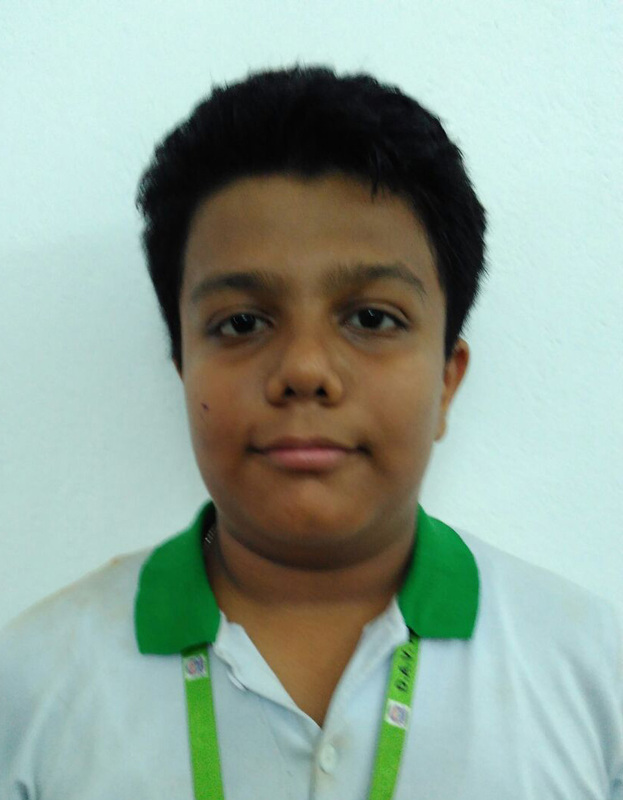 Jyotiraditya Mishra of DAV Public School, Chandrasekharpur emerged as the State Topper with 174 marks out of 200 marks and stood 5th at National Level. Apart from him, a total 13 students which is the highest among all individual schools of the state from DAV Chandrasekharpur alone empanelled in the list. They are : Abdesh Dash, Ayashkant Mishra, Manas Ranjan Biswal, Rajat Rout, Sai Sunil Mahakud, Satyapragnya Kar, Srestha Mishra, Sourav Soumyakant Das, Sthitipragnya Sahoo, Subhachandan Kanti Mahakud, Subrat Sekhar Sahoo, Arusha Padmaker Ranpise. Total 38 students from the state qualified where DAV Chandrasekharpur got the lions share with around 35%. The students would get attractive scholarships till their completion of higher education and would directly take admission in leading institutes of the country. The school authorities congratulated Jyotiraditya and other proud students and the in-charge teacher Dr. Sarbadaman Singh for this phenomenal achievements. Vidisha Lenka, a class V student of DAV Public School, Chandrasekharpur bagged the 2nd best prize in junior category in national painting competition organised by Ministry of Power, Govt of India. Vidisha was honoured with a cash award of Rs 50 thousand, a citation and memento at Vigyan Bhawan, New Delhi in a special function commemorating National Energy Conservation Day. Her painting on energy conservation was highly appreciated by the panel of jury.The School Chairman, Principal, Coordinator, Head Mistress among others congratulated Vidisha for the laurel.